SSIS comes with plenty of useful components for coding-free automation of your ETL processes. Unfortunately, the standard components can sometimes be cumbersome to work with or lacking in features. Our toolkit upgrades your SSIS toolbox with many invaluable enhancements. SSIS has proven to be a robust and easy-to-use platform for data transfer, processing, enrichment and backup. It enables you to develop sophisticated ETL solutions without the need for programming. The extensibility of the Microsoft SQL Server Integration Services platform has allowed us to seamlessly integrate our toolkit in the SSIS design-time experience. Our custom control flow tasks, data flow components and reusable scripts enable DBAs like you to do more in no time. Let's briefly look at some of the components which our clients have found quite helpful in automating their ETL processes. It allows me to complete tasks in ETL that I previously relied on a programmer to write. Our File Transfer Task extends the capabilities of the standard SSIS FTP Task by enabling you to transfer data securely using the industry-standard FTPS and SSH protocols, while preserving the familiar user interface. In addition, we provide an OpenPGP Task for public/private key encryption. Our toolkit includes bulk-load adapters for Oracle, DB2, Teradata, Informix, and Sybase. You can enjoy high-performance database loads without having to purchase the costly SQL Server Enterprise Edition. We also provide bulk-load support for any ODBC-compliant database. The COZYROC Teradata Destination component was a winning solution for Cathay Bank because it delivered technology comparable to what Microsoft provides with SQL Server Enterprise Edition at a fraction of the cost. The standard SSIS MS Excel adapters are based on the outdated Microsoft Jet technology. 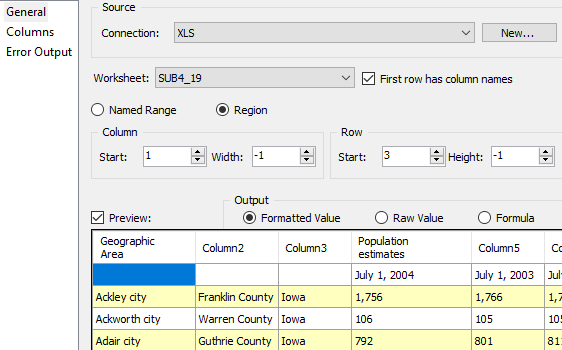 They try to guess the data type of Excel columns by inspecting only a small sample of the actual values. Anyone who has used those adapters knows how problematic this approach can be. Our improved Excel components eliminate the guesswork and get the job done in a predictable manner. Unlike the standard adapters, they run fine in both 32bit and 64bit modes and they work with password-protected files. The standard SCD (Slowly Changing Dimension) transformation combo is both slow and confusing. We have created the Table Difference to address all its inconveniences. Our component is much easier to use and is really, really fast. Table Difference provides more flexibility and options than the corresponding built-ins. With the standard SSIS Lookup transformation, if you have a situation where there is no match or the input is NULL, you would need two or three additional transformations to handle this. You can only imagine what your data flow would turn into if you needed to process star-schema structures - a giant spider web of complexity. 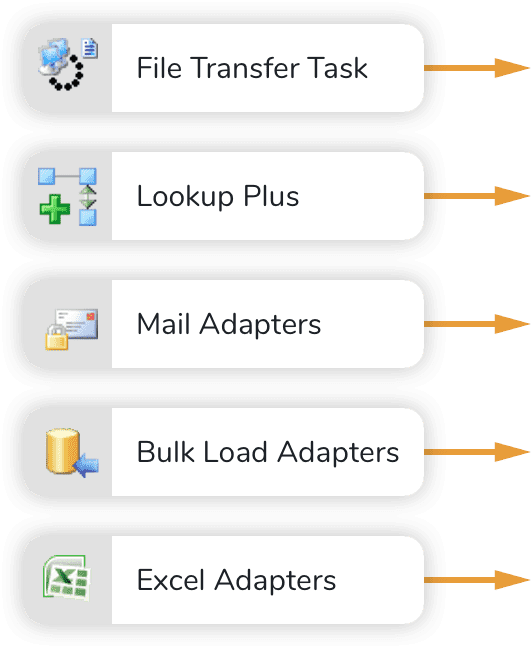 With Lookup Plus you can dramatically simplify your setup and employ only a single transformation that gets the job done. Do you need to download and extract data from email messages? Receive Mail Task provides just the right functionality to get the job done. 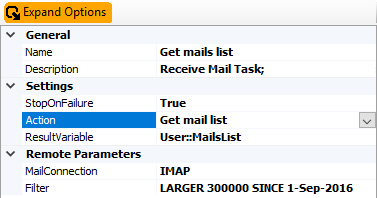 It supports IMAP, Exchange and POP3 protocols. It can read encrypted messages and attachments, too. If you need to send emails, we've also got you covered with our Send Mail Task Plus. Ready to evaluate COZYROC SSIS+ further? 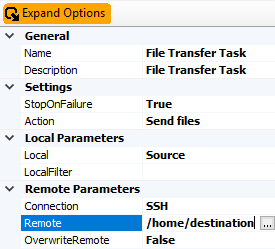 COZYROC SSIS+ is a comprehensive suite of 200+ advanced tasks, components and scripts. It is free for testing and development within Visual Studio.